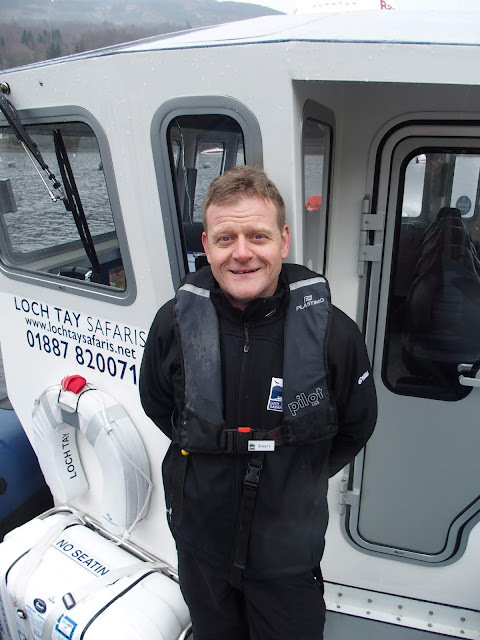 Loch Tay Safaris Welcomes a New Manager & Skipper & Crew! 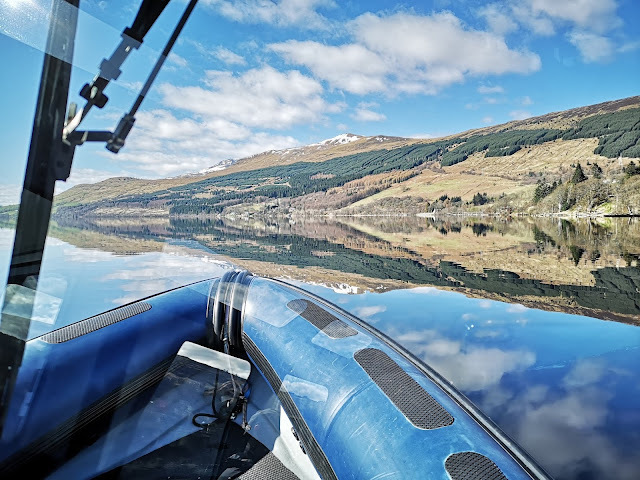 With the beautiful views looking up Loch Tay towards Ben Lawers, captured by Stuart Brain, Loch Tay Safaris new manager and Skipper, it is no wonder that Highland Safaris are delighted to welcome Stuart onto the team this Spring. A local man born and bred, his wealth of knowledge about not only the history, heritage, geography and geology of the area but also the lesser known stories of local characters who have helped shaped the very fabric of this beautiful area. Surrounded by the stunning and dramatic landscape, in this area that is just so steeped in history, myths and folklore Stuart and his crew love sharing it with visitors. “Loch Tay is beautiful from the shore, but the cruise gave a new perspective and that was incredible” said a review last week and there are lots more like it! Springtime with the trees springing to life and wildfowl nesting on the shores are a treat to see but the arrival of our resident Osprey is unmissable. A Golden Eagle was spotted too, soaring on the high ridges surrounding the loch on one of the training trips. And of course we could not be more lucky to have The Paper Boat Café in Kenmore. Newly opened but already proving to be a rightful success it’s stunning views up Loch Tay are matched by the warmth of the welcome and utterly delicious food. We wish Alex and Bridgette every success in their new venture and will look forward to enjoying many of their fine coffees! Cruises Return to Loch Tay. 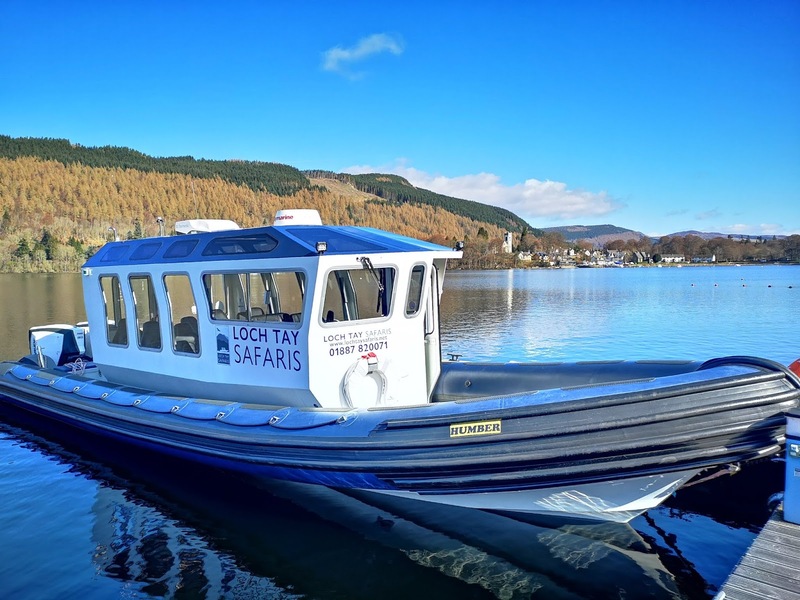 Our modern custom-built boat is comfortable, fast, dry & gets in close to the inaccessible parts of the loch to explore the wildlife & nature. Live commentary from our passionate and knowledgeable crew will take you on a journey through the local history, heritage and folklore. An Inspirational journey suitable for all ages. Looking forward to a new season.. Copyright © 2017 Lochtay Safaris Free Blogger Templates. Web Smart Media.